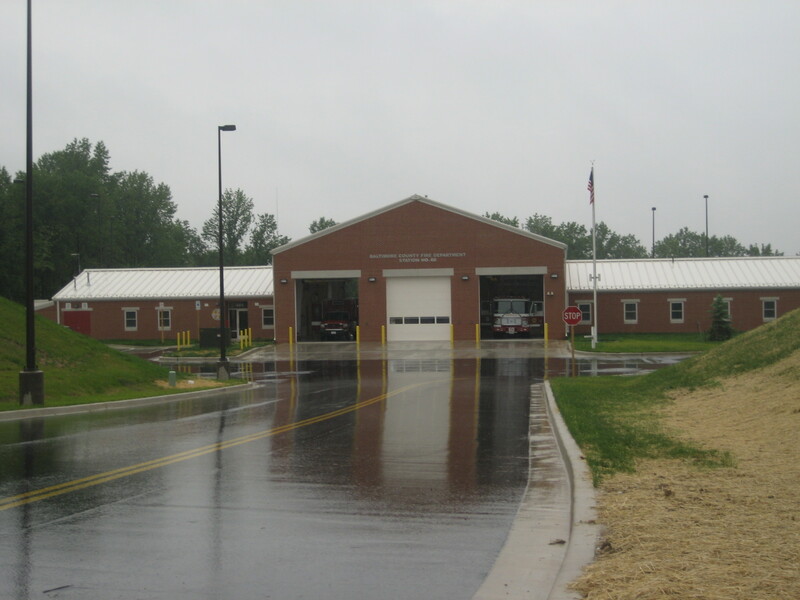 Parkton Fire Station – A S Architects Inc. 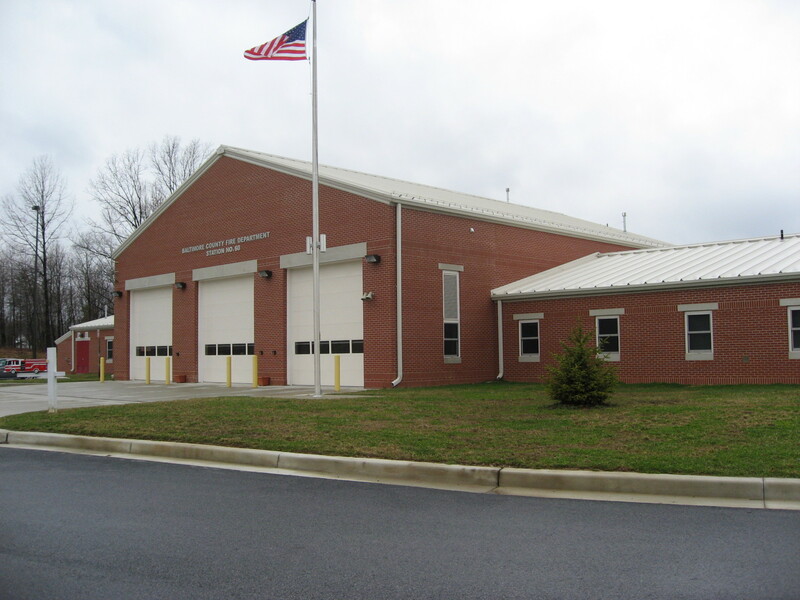 This is a new $5.5 million state-of-the art facility, located in Baltimore County, Maryland. The 11,000 sf modern facility includes three drive-through bays with an additional facility for dorms, fully-equipped kitchen, gym and restrooms/shower areas. 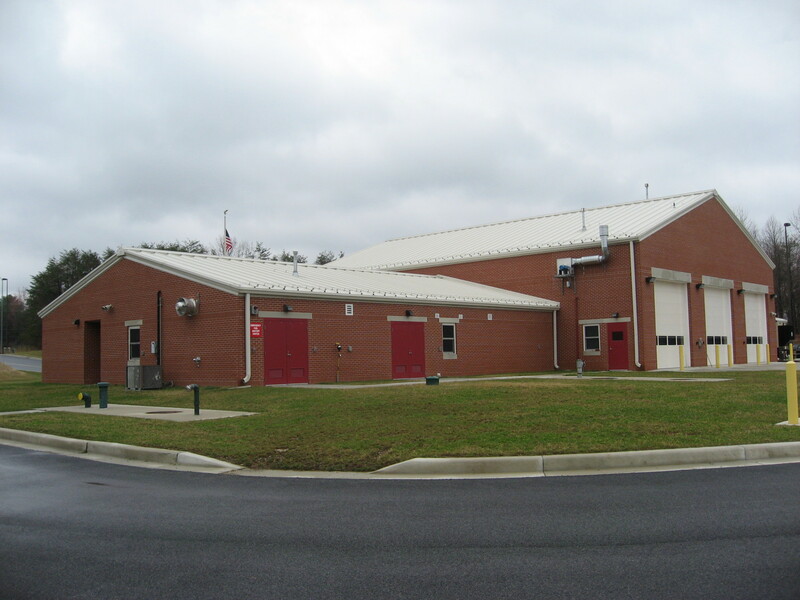 The facility is designed for pre-engineered metal building system with metal roof and brick veneer construction. 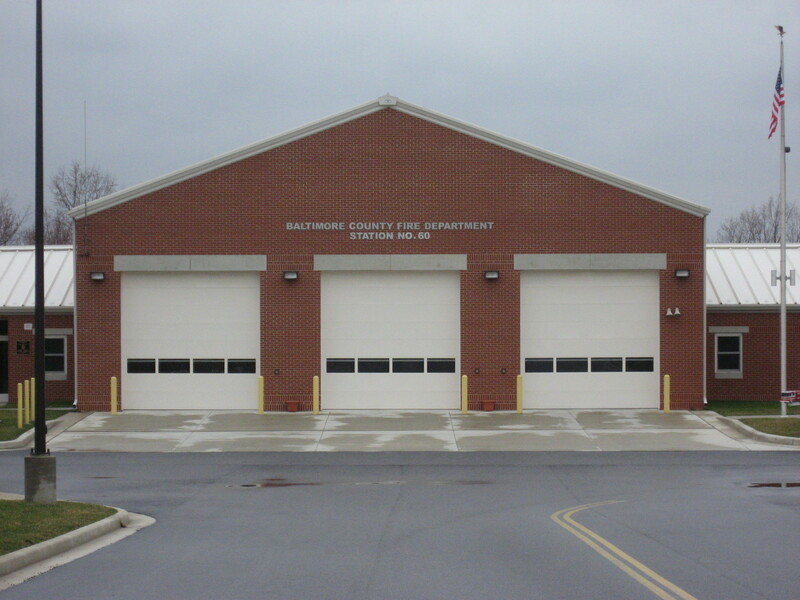 Interior spaces are planned for prompt and easy access to apparatus bays for response to an emergency call. 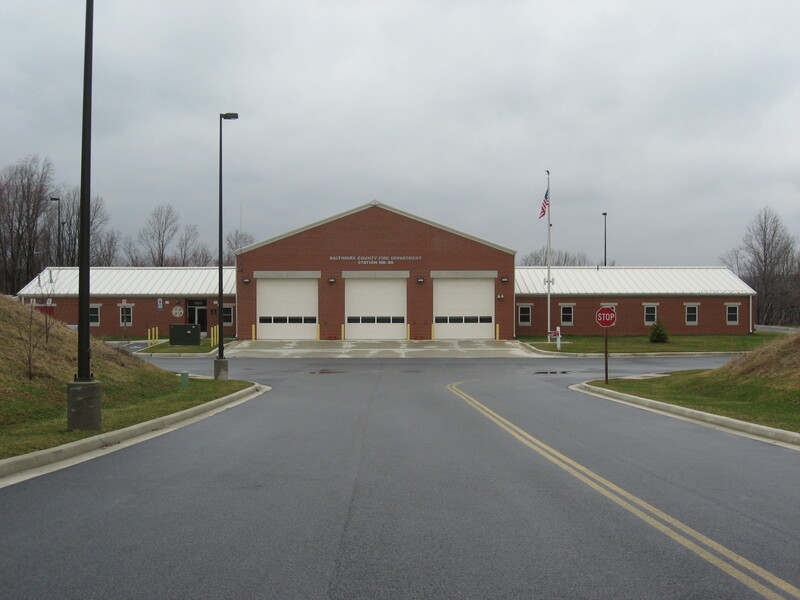 Emergency Medical Services are grouped together and are located on one side of the apparatus bay.